In the tech world, the year 2014 was named ‘the year of wearables’ to denote the extent to which the latest innovation in form of wearable technology has affected our daily lives. Virtual reality headsets, fitness trackers and smart wristwatches that used to be associated with sci-fi movies only are now becoming a part of our everyday reality, the new reality to which many businesses are yet to adapt. Even though it might be early to discuss specific changes the emerging technology has led to, it’s quite certain that there is a lot of them and that there will be even more, especially as manufacturers and developers continue to explore its potential. The major names in IT and Fashion industries have already recognized the value of wearables, while the products such as Google Glass, Apple’s rumored iWatch or Samsung Galaxy Gear seem to be setting stage for a new, post-mobile era. After the explosion of mobile devices and people’s increasing habit to have all the online resources at their hands at any point, it’s unsurprising that the wearables market has gone so big so fast. At present, wearables still seem to be a field of exploration for consumer-oriented developers and fashion houses, but it’s only a matter of time when they will enter corporate ecosystem and re-invent business communications. 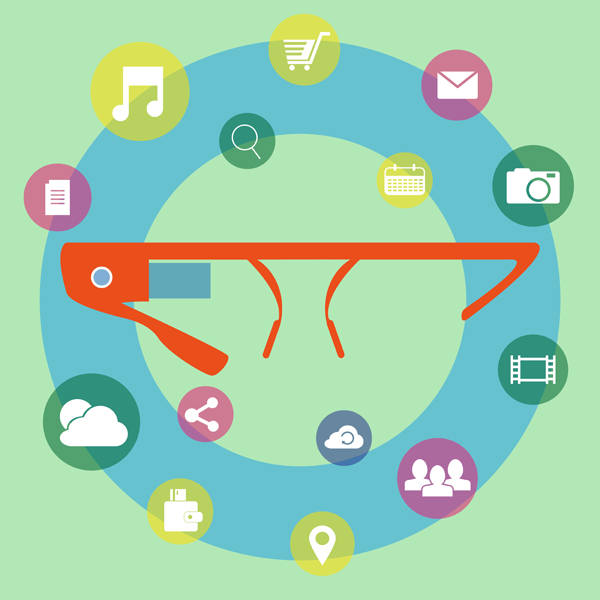 When Google presented its Glass project on its I/O Conference two years ago, the idea of augmented reality headsets called Google Glasses was seen as a futuristic one. To most consumers, being able to control software with voice or hand movements seemed as fictional as Star Track series, at least until the Glass was released for developers in 2013. 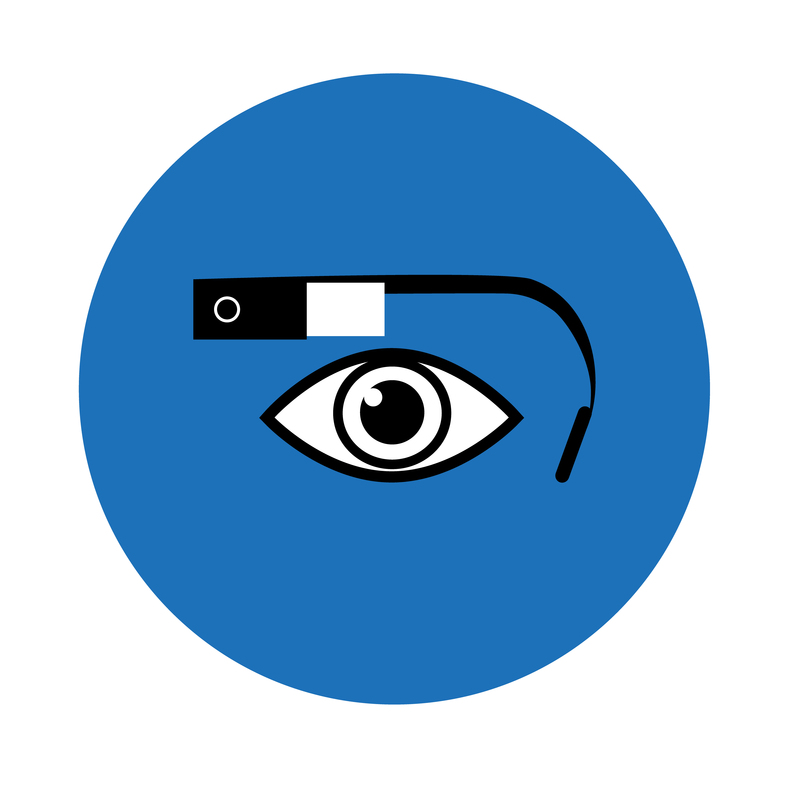 At the moment, Google Glasses are not publicly available, but early adopters can already become Google’s Explorers, i.e. beta testers and experience the future – now. While Google’s Glasses are in beta until June 23rd, Facebook is developing their own version of virtual reality headsets. Namely, in March the company bought Oculus Rift in order to be able to “start building the next major computing platform that will come after mobile,” as the company CEO Mark Zuckerberg announced. The release date is set for the fall 2015 and this move by Facebook only further establishes wearable gadgets as the next big deal in the tech industry. Along with the smart headsets that caused different reactions but that still didn’t get a chance to reach wider public, there is a range of products that have already become a part of consumers’ daily lives. Various fitness trackers such as Nike FuelBand SE, Samsung Gear Fit or Fitbit One are increasingly used instead of similar smartphone apps and have become quite popular in consumer market. Juniper Research’s Smart Wearable Devices report revealed that 13 million wearable devices were shipped in 2013 and predicted a ten-fold increase in this number by 2018. Besides the gadgets that make it possible to keep track of one’s daily steps or sleep habits, measure heartbeats or calories lost in a workout, consumers also seem to love smart watches such as Pebble or Martian, which allow playing music or managing social network profiles. Many wearable tech manufacturers have already signed their contracts with fashion names in an attempt to make these gadgets more stylish and thus more appealing to fashion-aware and tech-savvy consumers. Obviously, the market is still on the rise but even after a couple of years of existence, it raises important questions about the look of future workplace and business communications. In functionality the first generation wearables resemble classic smartphone apps, yet their potential is huge both in consumer and business market. When it comes to business apps, however, there seem to be more development and adoption concerns, although many experts agree that this market is only to flourish in the next couple of years. To encourage adoption of wearables in business, Salesforce recently launched a CRM pack adjusted to wearable devices. The idea is to help companies using Salesforce achieve a new level of immediacy when communicating with their customers or prospects and keep pace with their demands. The company has also rolled out Salesforce Wear Developer Pack that is intended to help developers build wearable apps to connect to Salesforce1 mobile app platform. As with any other emerging technology, developers would need to invest significant effort to figure out the best ways to exploit it. However, the potential market for business-oriented wearables might be huge, especially considering the fact that they naturally fit current BYOD trends. Over the last several years, implementation of BYOD policies has seen its ups and downs in companies that wanted to increase their employees’ mobility and enable more immediate contact with consumers, partners or coworkers. The concept does sound great and has many benefits for contemporary business ecosystem but its introduction includes overcoming many challenges. The biggest problem about BYOD has always been data security, which was difficult to harness with so many devices transferring data inside and outside the company. Wearables that come in a greater diversity of forms might pose even more problems for CIOs, which may make them even more difficult to handle in corporate ecosystem. Even though there’s plenty of time for wearables to reach their full potential at workplace, it isn’t too early to think about managing their implementation. Infant trend as it is, wearable technology adoption should be monitored right from the start, i.e. before these devices become so numerous that it would be impossible to regulate their use. Whatever developers have up their sleeves for the future of wearables, businesses are quite certainly about to enter a new phase of communications just as consumer are doing now.